Do you need a knitter's manifesto? A manifesto is a public declaration of intentions, opinions, objectives, or motives, such as one issued by a government, sovereign, or organization. I will always do a swatch. I will always block that swatch. I will question every technique I choose to use as to why it is the best possible option. I will try a new technique once a month. I will tear back and correct my errors. 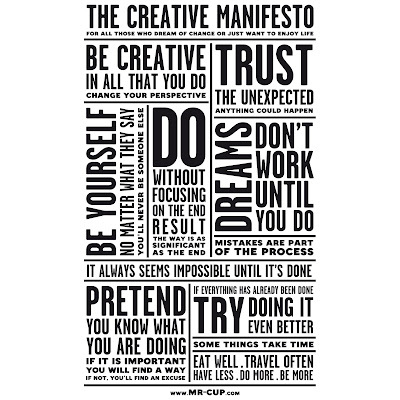 The manifesto at the top is a great one on creativity. 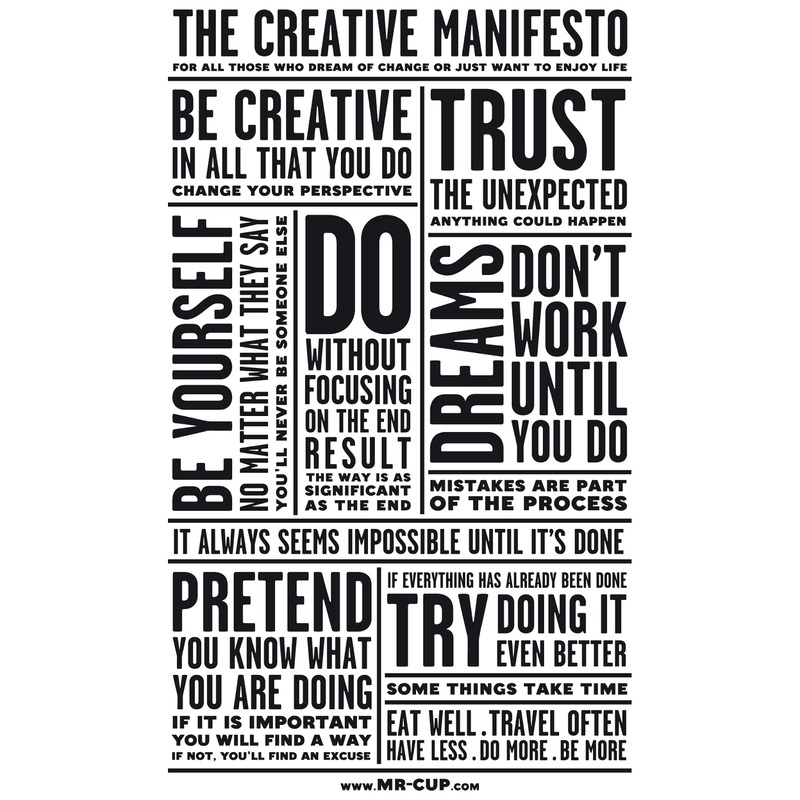 Have you written a manifesto, a personal mission statement, or the like? What did you include? I think these kinds of exercises are very helpful, for gaining greater self-knowledge and identifying personal values. For me personally: To remember that there is always something to learn. As an instructor, students think we "know it all". While we know a great deal sometimes by trial and error and sometimes learned from others, never to think that I know it all. So keep learning and improving my own skills. As an instructor: To create thinking knitters. I want students to not follow patterns blinding but to understand the "why" of something not just the "how". I want them to look at the fabric they are creating and see it. I want them to read the stitches in the fabric and not just read the instructions in the pattern so as to understand why something is, or as too often the case, is NOT working. And not to expect the pattern to always be correct. Very well said! I've never become bored with knitting because I've always felt there is more to learn. I think the only reason I appear to know more than students is because I spend more time focused on knitting. Understanding the why is critical and it's the only path to increasing your understanding and skills.